The aims of the Oromo struggle led by the OLF is to realize the Oromo people’s selfdetermination right; to dismantle colonial system from Oromia and to free Oromo from subjugation and to establish free Oromia state. This can be achieved through the sole decision of the Oromo people who will choose either to establish a free Republic of Oromia or to make new political arrangement with neighboring nationalities based on interest, equality, mutual respect and democratic values and principles. This means that the OLF struggles to make an arrangement for Oromo people for free referendum rights. The Oromo people has struggled and made huge scarifies to fulfill the aims and objectives of the Oromo struggle set out by the OLF. When the Oromo elites and committed individuals developed the OLF program, the central aim was to solve the fundamental political problem of the Ethiopian empire from its roots. The program was not only based on the interest of Oromo people but also considered the interests of other peoples in the Ethiopian empire who were colonized in a similar way and benefit from this struggle. Thanks to Oromo heroes and heroines, today the Oromo people liberation struggle has reached the stage where every Oromo has gained a full confidence to achieve its long awaited freedom. Also millions of Oromo heroes and heroines are ready to sacrifice their lives for freedom until the liberation of Oromia is realized. We have no doubt that with the sacrifices of committed Oromo heroes and heroines, the OLF vision, which is also the vision of vast Oromo people, will be achieved. However, we cannot deny that there are internal and external forces that want to give the Oromo liberation movement a blind eye and want to divert the Oromo genuine questions for their own political agenda and strategic interest. Currently, the TPLF/ EPRDF and its allies have understood that it is not possible to stop the Oromo uprising organized by the OLF- Qeerroo and engulfed Oromia from border to border. Since TPLF came to power in 1991 it was protecting the interest of a minority group and largely suppressed Oromo people. But at this moment in time, the TPLF cannot protect its interest through usual military power and intelligence network because the government structure is breaking up and difficult to repair. As a result, TPLF is looking for new OPDO to ally with them and protect further their power and interest. There was no time in its history where the TPLF regime has diverted from its original aims and objectives to respect the political and economic interest of the oppressed people. Also in the future they are not going to divert from their interest and cannot stand by the side of the Ethiopian people. It is not possible to think that the regime that brutally kills unarmed civilians, make mass arrests and terrorize its own people will respect fundamental human rights. This assumption cannot be true for the OLF who knows the TPLF from very beginning but may be true for those who deliberately give blind eye to the behavior of the TPLF leaders.The aim of the TPLF is to maintain the interest of the ruling elite with the sacrifice of Oromo people. This has been demonstrated with servitude of the OPDO who did not have any authority to do anything for the Oromo people without the command of their TPLF masters. That was why they were lying to the Oromo people for the last 25 years about the democracy and development. TPLF used the OPDO to deceive the Oromo people and the OPDO has survived under TPLF by becoming loyal to them and by killing and imprisoning innocent Oromo people who asked their human and political rights. Due to the fact that OLF knows from its outset the aims of organisations that have given Oromo name by the TPLF, the OLF has condemned the establishment of OPDO and other artificial Organisations given Oromo name from the beginning. This is because the organisation that is not free by itself cannot stand for the freedom of its people. As the responsibilities of these dependent organisations are to be instrumental to the TPLF, the OPDO has been major enemy of the OLF and Oromo nationalists and played significant role in obstructing the Oromo liberation movement and instigating the loss of thousands Oromo property for the last 25 years. Today, the existing OPDO is paralyzed by the Oromo struggle and rejection and is unable to become the TPLF instrument anymore. As a result, with the support of their allies, the TPLF is trying to establish new force in new form under the banner of free and independent organisation to deceive the Oromo people and mess up the Oromo people’s struggle again. This new strategy of forming new allies is similar to the 1991 London conference where the Oromo people has been sabotaged that was not only a regrettable mistake but also it is unforgettable in history. The loss of thousands of Oromo lives and property in the last 25 years were the result of the sabotage and conspiracy made on the Oromo people during the 1991 London conference. Today, the Oromo people is more aware and struggles for its rights more than any time in the history of the Liberation movement. This bitter and widespread struggle has shaken the TPLF regime from its base. 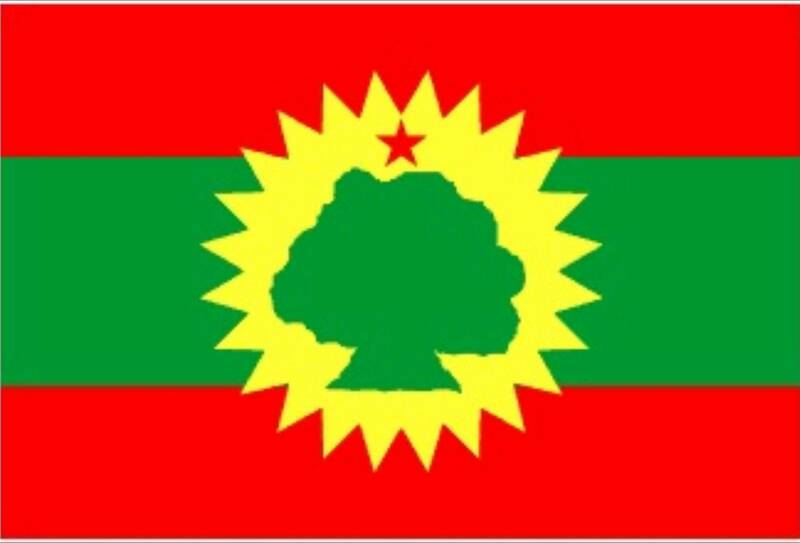 The OLF – Qeerroo members have made huge sacrifices to arrive at this promising stage of the Oromo liberation movement. The efforts to coordinate few “known” individual elites and Oromo organisations advocating for mere political reforms, making allies and re-allying will never be a solution for a century and half long political crises in Ethiopia but put the east Africa in another political crises. The OLF believe that this idea of coordinating from foreign is repeating the 1991 political game played on Oromo struggle. The Oromo political and economic rights can never be solved by external body and by those individuals who want to fulfill their power ambitions. The Oromo problem is a fundamental political, economic and social issue that the Oromo people have realized decades ago and sacrificed their lives, properties and livelihood. Nobody can deny that the Oromo people shall gain its self- determination right not by external forces but by its united voice and coordinated struggle under the vanguard the OLF- Qeerroo movement.